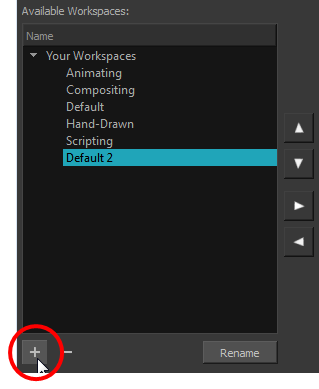 You can create new workspaces through the Workspace Manager dialog box. Select the new workspace that was created. Click Rename and give it a new name. 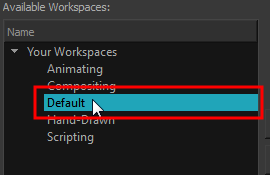 Select the new workspace and click the Right Arrow button to move it to the Workspace toolbar.